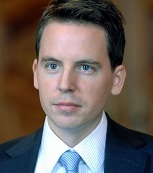 Lars Klöhn holds the chair for Civil Law and Business Law at Ludwig-Maximilians-University Munich. His research areas include Civil Law as well as Corporate Law, Securities Regulation, and Law & (Behavioral) Economics. He has published in both English and German on various topics of European securities regulation, especially insider trading and continuous disclosure. He is also co-editor of the Journal of Banking Law and Banking (JBB).